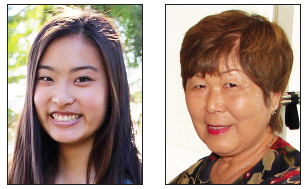 GARDENA — Kaitlyn Tang will be giving a short presentation on the Tuna Canyon Detention Station on Sunday, Jan 17, at 2 p.m. at Merit Park Recreation Hall in Gardena. The program is sponsored by the Greater L.A. Chapter of the Japanese American Citizens League. Tuna Canyon was a World War II temporary detention station located in Tujunga, 17 miles north of downtown Los Angeles. It held Japanese, German, and Italian aliens, as well as Japanese Peruvians, while they waited for processing to permanent detention camps in the interior of the country. Tang’s presentation is composed of video interviews with descendants of Tuna Canyon detainees. This presentation is part of her Gold Award project with the Girl Scouts of Greater Los Angeles. Also speaking will be Nancy Kyoko Oda, president of the Tuna Canyon Detention Station Coalition and president of the Coordinating Council of the San Fernando Valley Japanese American Community Center. All are welcome to attend. For more information, contact Louise at (310) 327-3169 or Janet at (310) 835-7568.